Back in 1938 two men took over the back garden of a big house in Highgate, brought in child star Binky Stuart, and knocked off their first film, a two-reel effort that didn’t exactly start a rush for their services. In 1959 a film produced and directed by the same two men was the top British box office hit of the year. 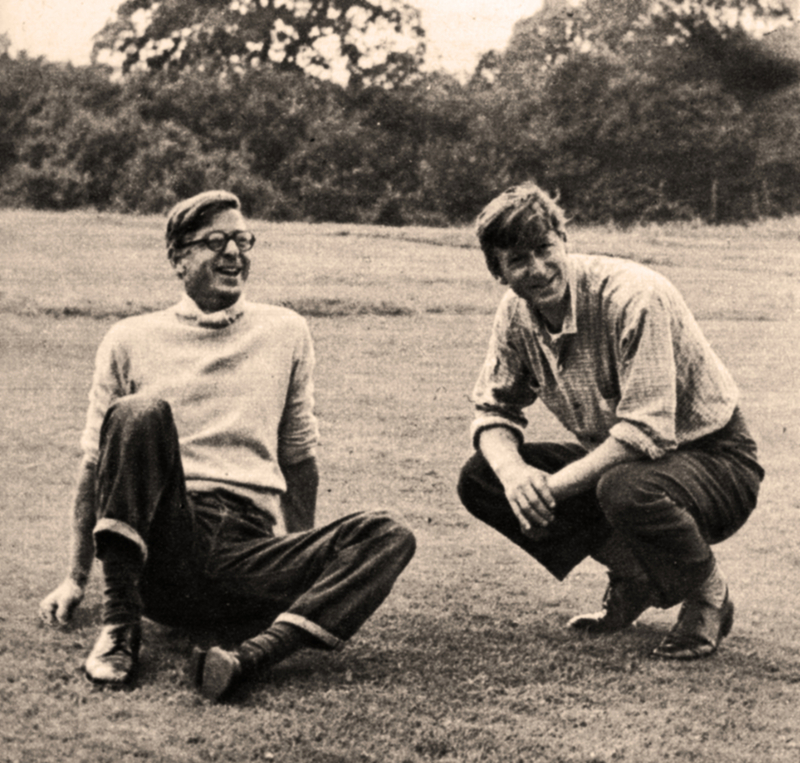 The men: the Terrible Twins of the British film industry, John and Roy Boulting, and the film that hit the top in ’59 was, of course, I’m All Right, Jack. The name Boulting has become synonymous with laughter, but the twins were first associated with dramatic films like Pastor Hall, Brighton Rock, Seven Days to Noon, Thunder Rock, and The Guinea Pig. But then they found that ridicule was a more effective weapon. In “Private’s Progress” Ian Carmichael’s tongue was delicately stuck out at the Army. They didn’t like it a bit. Institutions so far ridiculed by the Boultings have included the Army, the Law, and that holy of holies of modern life, the Trade Union. They made Ian Carmichael into one of the funniest funny men in Britain in Private’s Progress and Brothers in Law, and gave Peter Sellers a part in I’m All Right, Jack, that lifted him right out of goonery — and won him a British Oscar — and into character acting with side-splitting results. The mickey-taking Boultings haven’t always found it easy to take their hilarious jabs at officialdom. When they started on Private’s Progress some gentlemen in Whitehall decided that the Army was far too sacred an institution to be laughed at. War films were fine, so long as they were kept suitably stiff upper lip and the officers were shown in an admirable light. But a film that took the mickey — oh dear no. Their refusal to co-operate cost the Boultings an extra £10,000 for equipment like tanks, guns, etc., that they could normally have borrowed. Whilst taking a tilt at trade unions in I’m All Right, Jack, production was held up because of — trouble with a trade union! If that wouldn’t make a good plot for a Boulting film, I don’t know what would. But it takes more than the frowning disapproval of officialdom to put the Boultings off their stride. Early in their careers, Roy, until then the director half of their producer-director partnership, fell ill halfway through a film. To hold up production would have broken them financially, so John took over the direction. For a whole day, nobody on set even realised that John was John, if you see what I mean, for they’re identical twins, and to his astonishment John discovered that he had exactly the same methods of directing as his brother. The fact that he had never directed a film in his life before didn’t seem to matter at all. After that they started taking it in turns to produce and direct. About the only thing that Roy and John seem to take seriously is film making. They have said that they make films because they enjoy making films — good films. It seems hard to believe now that Noel Coward described them some years ago as “Brilliant boys, but quite humourless.” It was that remark that set them thinking. The result of their thoughts was Private’s Progress. After seeing that film one American critic wrote, “You may be losing your Empire, but, thank goodness, you haven’t lost your sense of humour.” We’re not likely to get the chance while the Terrible Twins are around.